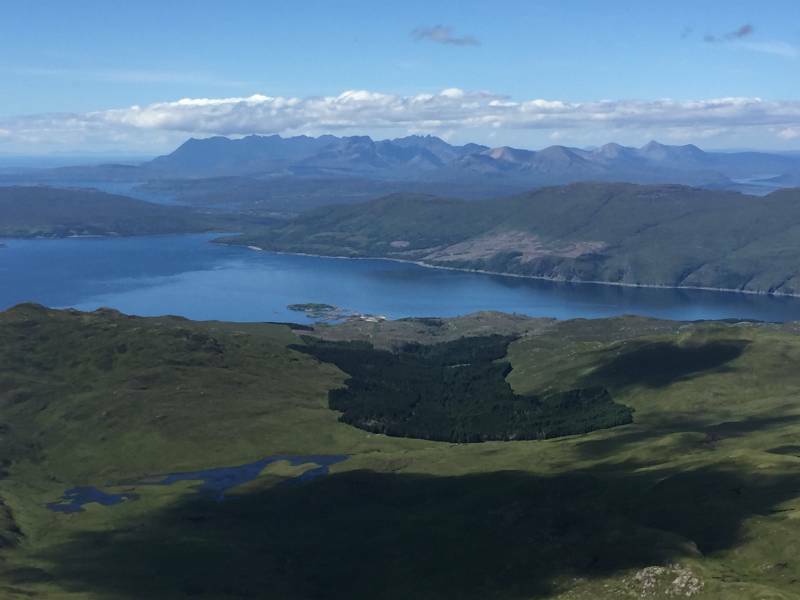 Beinn Sgritheall is a solitary Munro impressively dominating an already rather impressive stretch of Scotland's western seaboard, with the Misty Isle of Skye at one hand and the lonely peninsula of Knoydart rising out of Loch Hourn at the other. 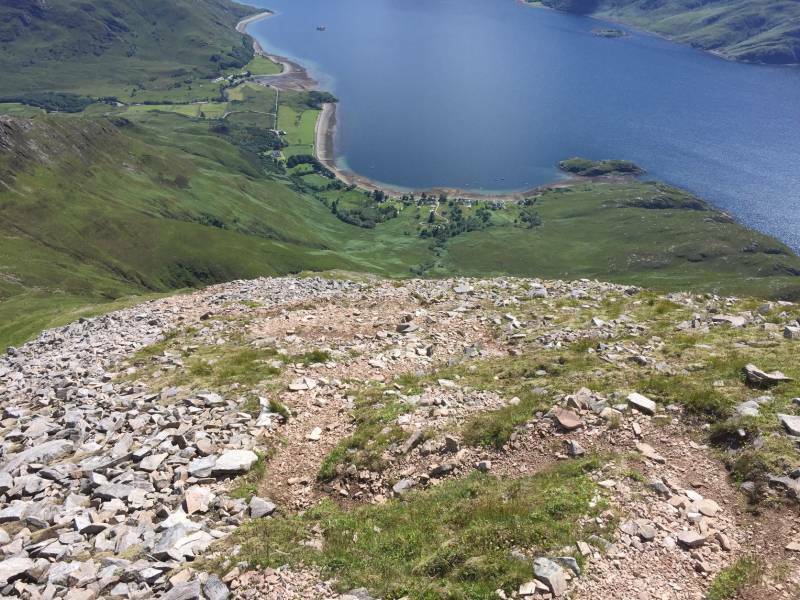 It's an accessible mountain in the sense that it's quite close to a road, but said road is merely the end of a labyrinth of single track tarmac that takes the best part of an hour to negotiate. Once you add this to its rearing directly up from sea level and you realise that Beinn Sgritheall is not to be taken too lightly. 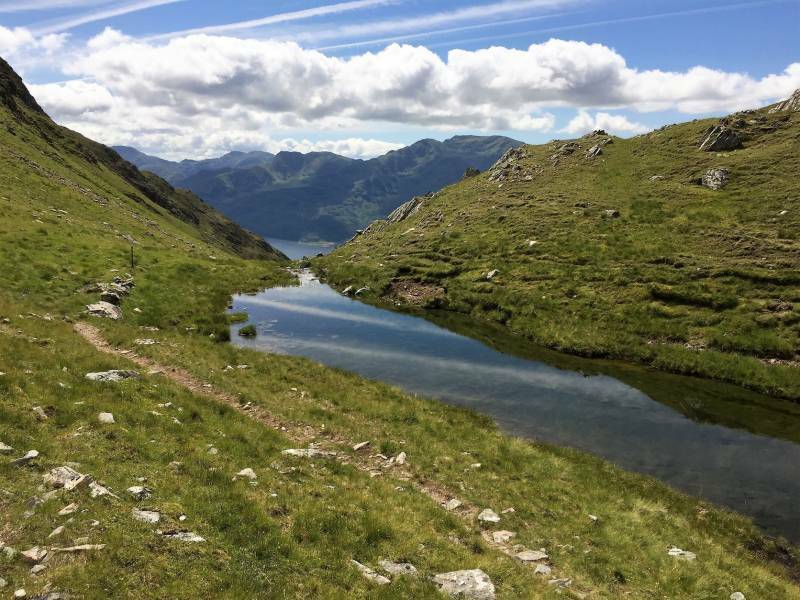 I started from the village of Arnisdale on the north shore of Loch Hourn. A signposted path leads up and away from the houses, rising diagonally across the hillside and over a few small streams to reach the watercourse falling from Bealach Arnasdail, the col at the east end of the mountain. 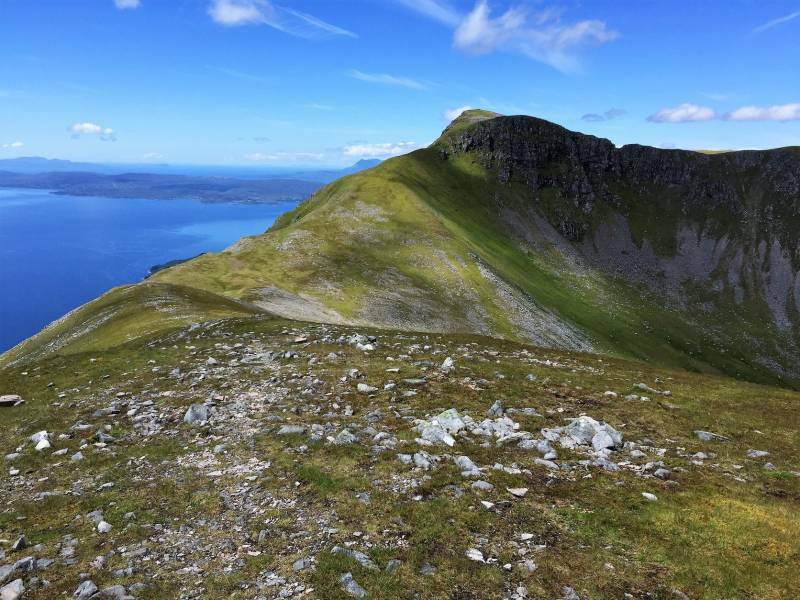 A relentless grind now commences to the bealach, but the path is good (if slightly eroded in places), and after 600m of ascent I was deposited next to a jewel of a lochan and a brief oasis of flatter ground from which the next section up to the summit ridge could be examined. It's not that appealing to be honest. More steep grass led to even steeper upper slopes splashed with loose scree...terrain over which it's impossible to walk elegantly. All is forgiven on reaching the ridge at the east top, the route onwards to the summit being revealed to be much more forgiving than what has come before, the easier going allowing full attention to be given to the views on a day of crystal clarity. An easy dip down to a col was followed by a straightforward climb up to the top, with one narrower (but still easy) section to allow some adrenaline to join sheer effort in raising the heart rate. 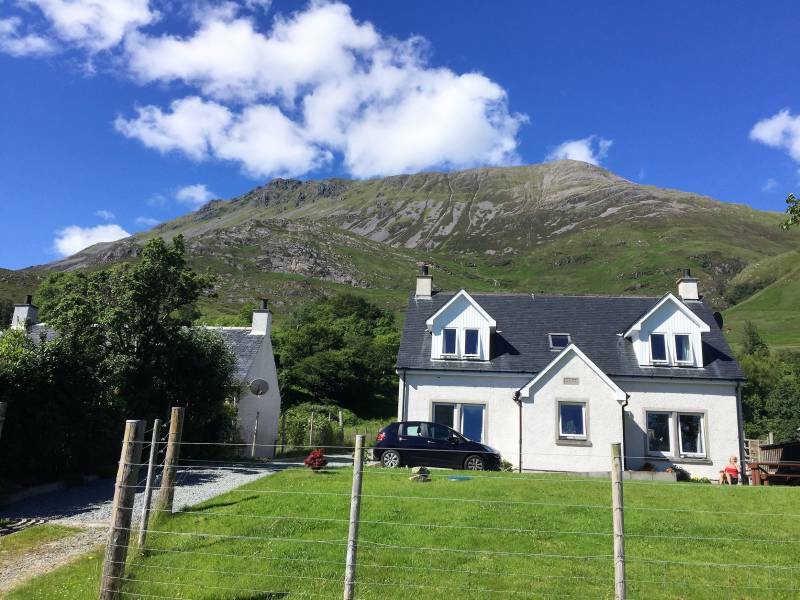 It's a fantastic belvedere, the steep slopes giving deep foregrounds to the magnificent views to Skye and Knoydart. I returned basically the same way, with a quick detour to Sgritheall's NW summit (these subsidiary Munro tops have to be nabbed while you can) and an attempt to come up with a better descent from the east top...seeing as I seemed to end up sliding/falling down the scree and with cuts and scratches on my hands I don't think I was successful. Still, a fun day out and no mistake.